NIST employs a full-time, in-house catering team that operates the school cafeteria, as well as kiosks and cafés around the campus. NIST Catering provides a fresh, creative and nutritious approach to cafeteria catering, built on the fundamental belief that food should be healthy and that school lunch should be a time everyone looks forward to and enjoys. 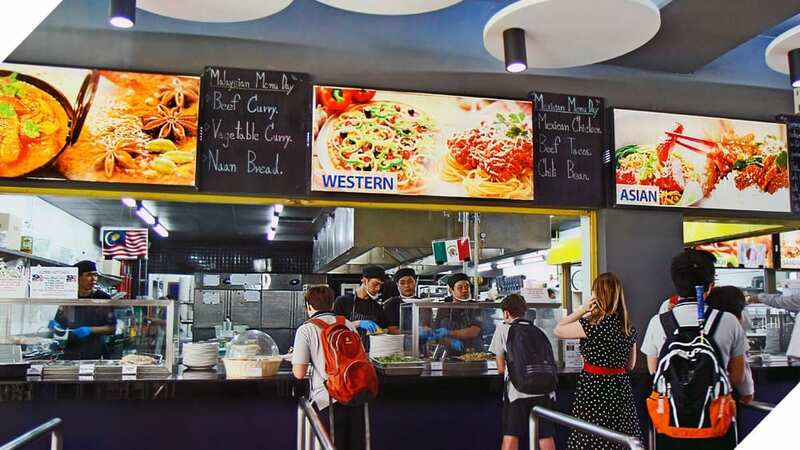 Students at NIST can enjoy fresh, locally sourced produce and a wide range of dishes that meet the dietary needs and tastes of a diverse, international community. NIST Catering prepares as many dishes as possible in our in-house kitchen, avoiding ready-made ingredients that are high in preservatives, salts, MSG and additives, as well as foods that must be transported long distances. This allows the staff to reduce waste and reduce its ecological footprint while providing healthy, nutritious options. This effort to implement sustainable solutions includes sourcing some of its vegetables from GreeNIST, the school’s rooftop garden. By utilizing on online system payment system, Campus Online, parents can view and top up their children’s accounts, set spending limits, place orders (for elementary school students), and track what their children have been eating (for secondary school students). Funds can also be added to accounts with cash through the kiosks in the cafeteria and The Hub Lounge. NIST Catering believes in the importance of ecology and ethics, healthy food matched with a fun eating experience. We recognize the strong ties between food, environment, people and education. We believe in a community in which all people can access and enjoy non-processed food that is good for them, good for those who grow it and good for the environment around us. NIST Catering is a group of individuals with a single shared passion to provide good, nutritious and fair food for the greater NIST community.